Helping marketers develop their digital marketing skills. 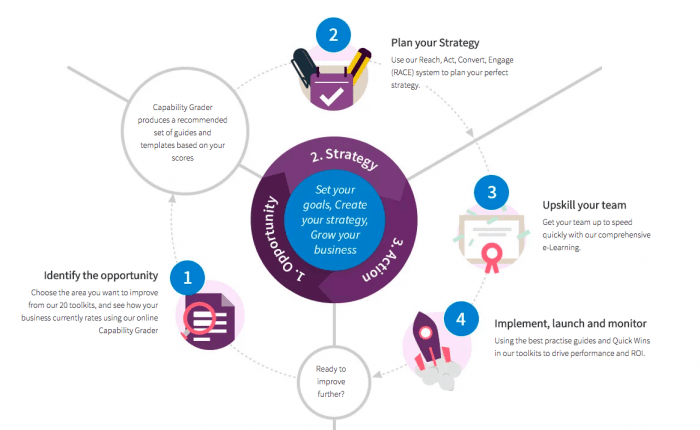 Upskill yourself and your team with step-by-step guidance you can use again and again. Get your team up to speed with comprehensive e-learning to help drive performance and ROI. Knowing the latest benchmarks and innovations within digital marketing is a must – but also having the knowledge and skills to implement new technologies, software and campaign planning is just as vital. 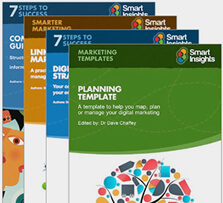 At Smart Insights we have a huge library of digital marketing resources to upskill yourself and your team to become great marketers. Alongside detailed guides, quick checklists, audit spreadsheets, and templates, we also offer all our members (free and paid) a personalized learning plan to help benchmark their skills, which then gives recommendations on what areas/channels/ tactics need to be improved. Premium members will then have unlimited access to additional learning materials relevant to the skills they need to improve. Our personalized learning plan is a great member’s tool which helps identify gaps in knowledge and help improve digital marketing for you and your business. It gives tailored recommendations across the RACE planning system to make sure you get the most out of all our resources and know exactly where you need to improve. We also have a capability grader which helps benchmark business performance and suggest recommendations for improve for a range of channel marketing. And many more! The aim of the Quick Wins is to provide busy marketers with a short and practical burst of knowledge to help them with a specific skill or responsibility they need to know quickly. 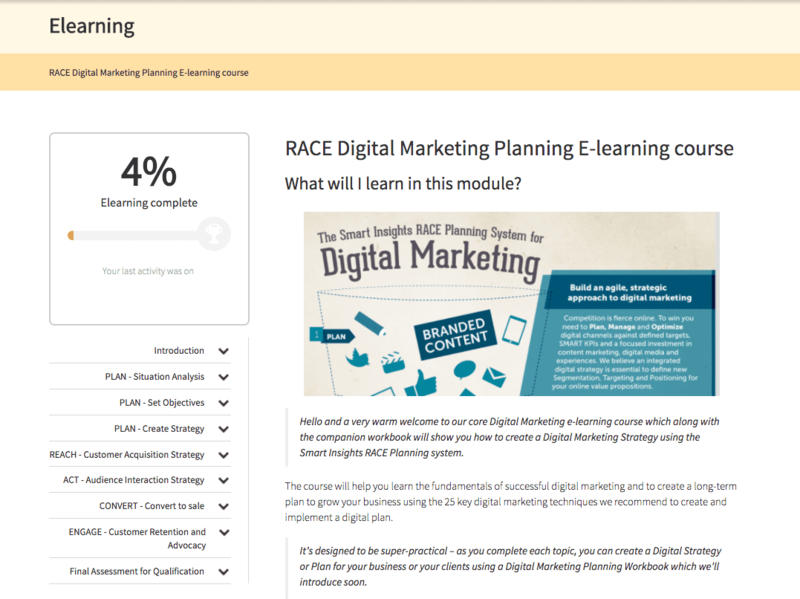 Business members get all-inclusive access to all our resources, including our more in-depth theoretical e-learning modules, of which our RACE planning system course is CPD accredited. With business membership, team leaders have access to a team dashboard to help manage the progress of e-learning and the use of our resources by the team to make sure they are achieving their recommended CPD hours to help upskill your team and business performance to see improvement over time. You can request pricing and a business account demo of resources and the digital marketing skills services we provide by submitting an enquiry here.